Excellent songwriting, Musicians and everything else you would want in Rock Album. Grabs your attention with Strangeland and never lets up. This is a must have!!.. This is a rare album where crafted songs blend seamlessly with adept muscianship. Taboot, the lyrics articulate an unassuming, positive sense of self-awareness. When I first got into music, I fell hard for sounds of Bob Marley and the Wailers during their Trenchtown years, the Grateful Dead in Europe during 1972, and Phish in 1994. Somehow this album manages to spin my beloved influences into an authentic, fresh perspective on the hyper-aware world that we live and breathe in today. I have waited for an album like this to come along during the last decade and it is finally here. Really, download and go. This is a great album. 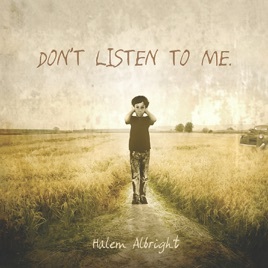 Halem's talent of songwriting is displayed in this wonderful creation of a CD. Get the CD to hear The Good Life, it is one of my favorites!